It may not be a full-fledged television set, but Apple could announce some sort of TV-related product later this year with enhanced control functionality, a new rumor claims. The details were shared by former TechCrunch reporter and venture capitalist MG Siegler on the latest episode of John Gruber's The Talk Show. In a segment toward the end of the show, first noted by Business Insider, Sigler said he's heard there's a possibility that Apple could announce an unexpected television-related product later this year. the interaction with it being the interesting thing." Some earlier reports had claimed that Apple was working on a full-fledged television set with Siri voice controls. But Siegler suggested that voice control may be "out the window," and that Apple is working on "some new way to interact with whatever this thing is." Rumors of an Apple television set have persisted for years, but picked up steam in late 2011, when biographer Walter Isaacson revealed that late Apple co-founder Steve Jobs had said he felt he "cracked" the secret to a simple television set. Apple Chief Executive Tim Cook added fuel to the fire last year when he said in an interview that current television sets make him feel like he's "gone backwards in time by 20 to 30 years." 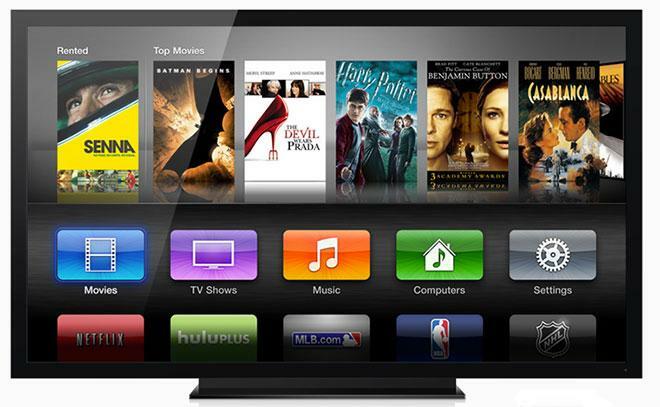 Despite those comments, there haven't been any concrete rumors of an Apple television arriving this year. Still, some such as analyst Gene Munster of Piper Jaffray, a longtime proponent of an Apple television, have maintained their prediction that Apple will announce such a product this year. In one of the more incredible rumors about an Apple television, Brian White of Topeka Capital Markets reported in April that he had heard from supply chain sources that Apple was planning to release a TV set with an "iRing" controller accessory this year. White claimed that Apple was working on a ring-shaped accessory that would allow a user to control their TV set by pointing their finger. The company's current initiative is driven by the Apple TV set-top box, offering streaming content from iTunes and other sources like Netflix and Hulu. Apple has steadily added features to that product, and is even expected to enable live streaming television for Time Warner Cable subscribers in the near future. The Apple TV hardware hasn't seen a major update since March of 2012, adding support for 1080p high-definition content with a faster A5 chip. That model was given a slight tweak earlier this year, when Apple quietly shipped an updated model with a slightly smaller A5 chip.